The great thing about the English is that they never forget their roots, and that goes for rock music. Trends and fads may come and go, but our British friends continue to raise up classic hard rock bands. 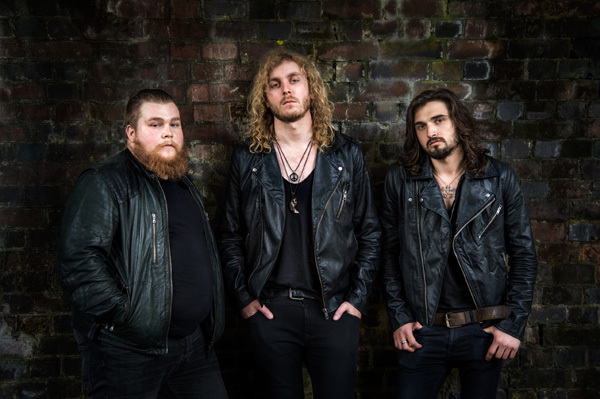 Rising for Cannock in the Midlands, The Bad Flowers are another fine representation of classic British melodic hard rock, arriving with their first self-titled EP and four songs. Drawing inspiration for mighty peers like The Who to Led Zeppelin to Black Sabbath, The Bad Flowers have conjured up a scorcher in this brief, sixteen minute, EP. There's many things to take note of here, elements when combined deliver classic rock. Instantly notable is that The Bad Flowers have any uncanny grasp of melody and groove, even while there music veers to the heavier side. The riffs are both thick and sharp, the rhythm section deep and powerful. From the riffs, vocalist and guitarist Tom Leighton tears off some terrific, classic hard rock, leads. Additionally, and perhaps the single most influential element to these ears, Leighton is an exceptional vocalist: strong, melodic, clean, and mostly, passionate. About the songs, Can You Feel It combines heaviness, groove, melody, and a catchy refrain in a very accessible AOR wrapper. City Lights and Run Run Run spin some blues groove within two thumping numbers. In the latter song, the pace quickens with the chorus. Big Country returns once more to the AOR rock groove delivering a toe-tapping tune and finding Leighton soaring in the vocal arrangement. The Bad Flowers EP may be brief, but it is powerful and shows promise. This is fine classic melodic hard rock from a band to be reckoned with. Easily recommended. 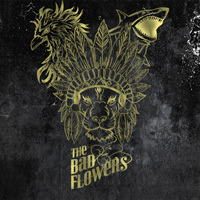 The Bad Flowers EP may be brief, but it is powerful and shows promise. This is fine classic melodic hard rock from a band to be reckoned with. Easily recommended.